Are you in the mood to learn a new skill? 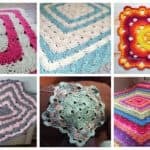 If you’ve ever wondered how to crochet a triangle, this crochet shawl is a great project for you. You can learn a lot. 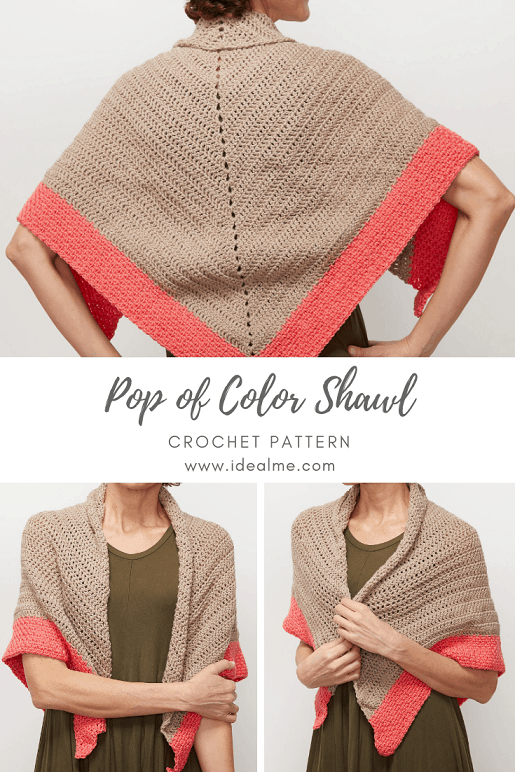 The pop of color shawl wrap is a free crochet shawl pattern that’s easy to work. 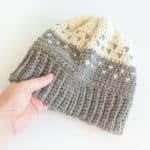 It’s a fast project and is really simple so even beginners can have fun with it. A crochet triangle shawl can seem intimidating if you’ve never made one before but this pattern is straightforward. The main section of the crochet wrap is worked in half double crochets. And the pop of color border is worked using the moss stitch in a contrasting color. This shawl crochet pattern is easy to make and cozy to wear. 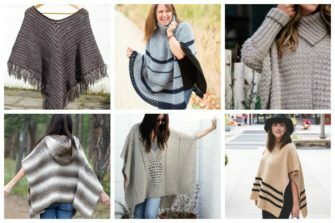 Shawls and wraps make great presents for the ones you love. And crochet shawls are so warm too. Perfect for the winter season. 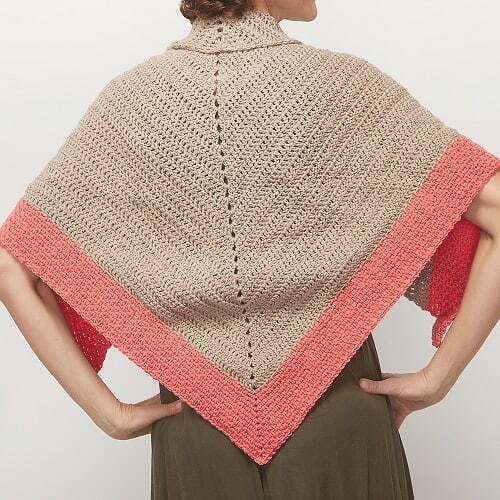 There are lots of free crochet shawl patterns available but this one is special. It’s made using cascade 220 superwash merino. This yarn is really warm and snuggly. It’s a worsted weight 100% wool yarn. It’s machine washable for easy care and it’s durable. You can wear this shawl all the time and it will hold up against wear and tear. 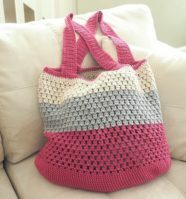 You can get this yarn in two colors and a digital pdf pattern in the crochet kit I put together. 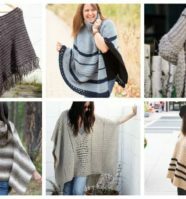 Crochet shawl patterns are a great project to take with you on a trip or a last minute gift idea. With this convenient kit, you’ll have everything you need to make this special pop of color crochet shawl. Row 42-49: Repeat row 41. 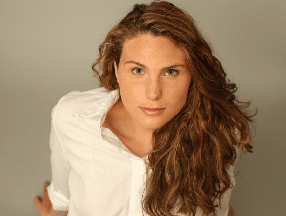 This crochet shawl is easy to make and will teach you how to crochet a triangle. I love projects that I can learn new skills from and this crochet shawl pattern is just that. 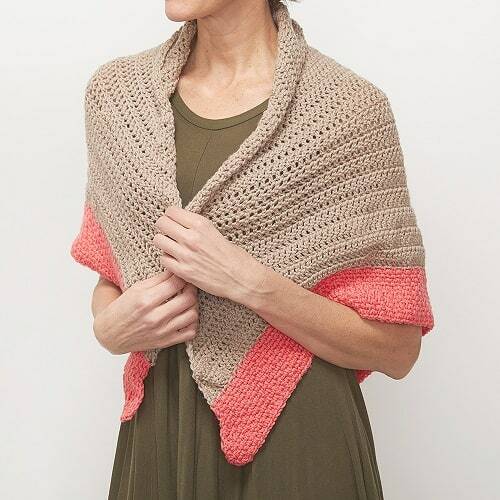 Pick up your hook and a crochet kit and make yourself a pop of color shawl wrap today.